The Standing Stone: Crossmorris, Cross Base, Co. Kildare. Crossmorris, Cross Base, Co. Kildare. 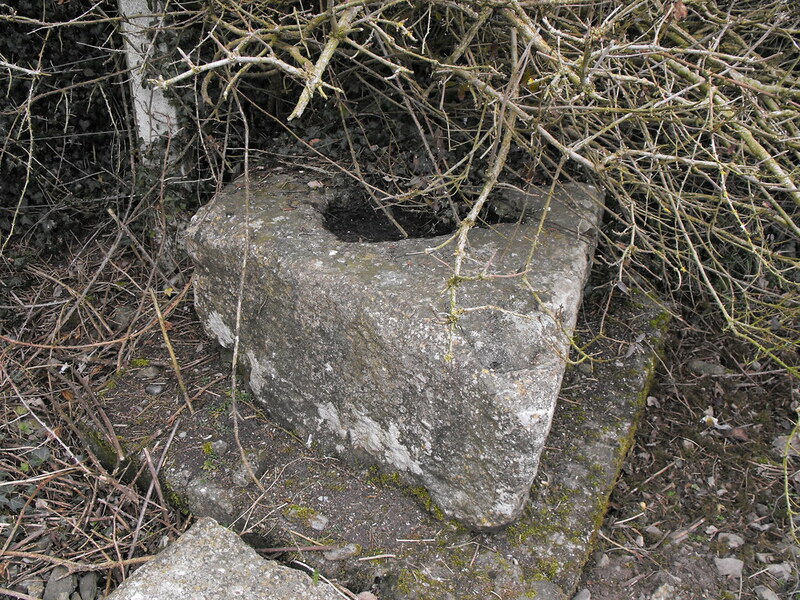 Location – About three miles W of Co. Kildare and one mile E of Lackagh More church. Description and History – This site is very sad. 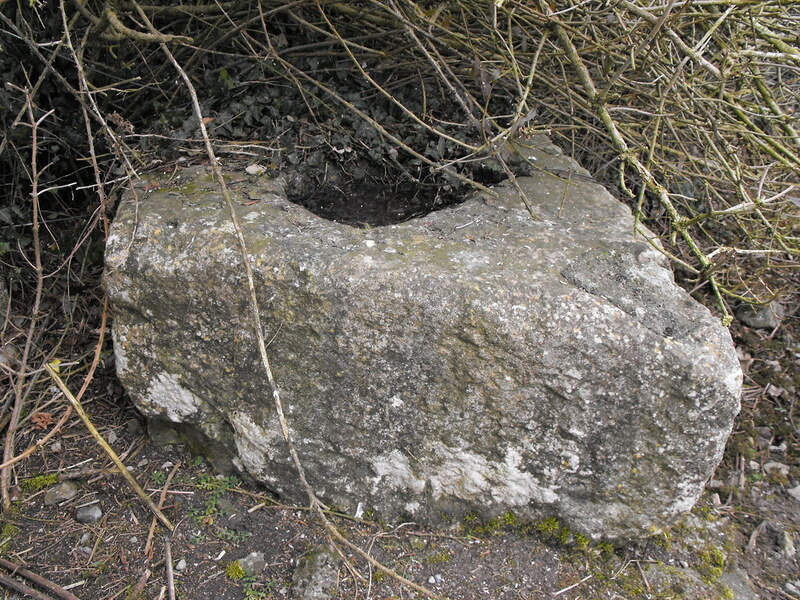 The base has been shoved under a hedge in a lay-by on the side of the road and has seemingly been forgotten about. It really wouldn’t take much to relocate it to Lackagh More which isn’t far away. This cross base is a very odd shape and is a sort of parallelogram. The hole for the cross is small and it is hard to imagine what kind of cross it would have accommodated. Difficulty – Easy to get to but I would imagine during the summer months the hedge really swallows it up.